my tips for good skin. but I want to take a few steps backwards. I could talk on the subject of skincare for hours on end, but to sum it up: I do believe it comes from the inside. it’s like the guys at the gym will tell you: no matte how much you exercise, if you diet is crap you’ll never see the results you want to see. I’ve been eating a vegan diet for over three years now (vegan blog post is still coming I promise) and my skin has significantly improved. I know that the idea of vegan sounds way too extreme for some, but even cutting out as much dairy as you can will help you. one of the biggest factors is hydration. if you’re not drinking enough water your skin won’t improve- simply as that. just try and make it a habit. throw out small glasses and get bigger ones. have one filled up on your nightstand, it’s the first thing I do in the morning and before my day has even started I have 0.33L in my system. sweat it out- even though I’m not really one to exercise (I want to get into it), a little sweat to get out toxins does wonders! sun. and sunscreen. equally important. try and get out and get fresh air, while wearing SPF though. sleep. get your 8 hours. put your phone away from your bed and IF you use before you sleep, please put night shift on, the orange light is a lot better for your eyes, the blue one signalises your brain to stay awake as it resembles blue light from the sun. lastly, I don’t think I need to tell you how awful cigarettes, alcohol and drugs are for your skin. no matter how much money you’re spending on luxurious skincare… you know what’s causing your bad skin. once you’ve got these things (kind of) down, it’s time to focus on skincare. here are a few products I trust. the things I find the most helpful when I have a bad skin day, or week, or month, are drying masks. I don't want anything too aggressive, but also no mediocre stuff that doesn't do anything. 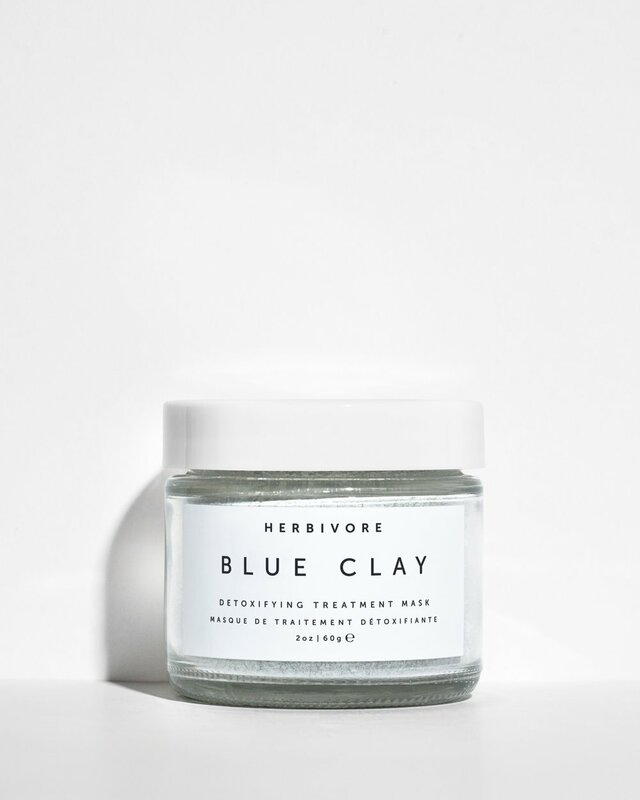 herbivore clay mask. I mix it with a few drops of water and leave it in for a little bit, maybe the length of drinking a soothing jasmine tea. mario badescu silver powder. I use it once or twice a week, depending on my skin. this one is actually drying so I only use a super thin layer. the products I use to get a little moisture. emphasis on little! nuori body oil. not only is the packing my wildest dream come true, this body oil is by far the best I’ve ever used. most of them are just too….oily. I’m always a bit sceptical with oils, coconut oil for example is way too much for me. this one is lightweight, doesn't have any irritating smells, and it actually sinks in and doesn't just sit on your body leaving it greasy. I’m using it on my entire body after every shower. rose hibiscus hydrating face mist. sounds fancy right? I never really understood the hype about face mists (isn’t that just diffused water?) until I tried them. this one is made from coconut water and can be sprayed even with makeup on without destroying it. super refreshing, I use it in the later afternoon or evening when my face gets a bit tired and I’m about to head out. milk makeup hydrating oil. it’s a stick made of all natural oils, which I apply on the dry sections of my skin, mostly cheek area. again, this is not oily-oily if you get what I mean. gives a super nice glow and I often apply this when I’m going out of the house without makeup. let me know if you're trying them out! I mostly go by the rule less is more. if a company is being vague about the ingredients, or you simply don't know what half of the words on the ingredient list mean, you should probably stay away from that product.